Instruments on this page are currently split into two sections: theorbos and chitarrones of the classical type tuned re-entrant in G or A, and instruments that although tuned in the "old" intervals are French in style and appropriate for the French baroque repertoire. 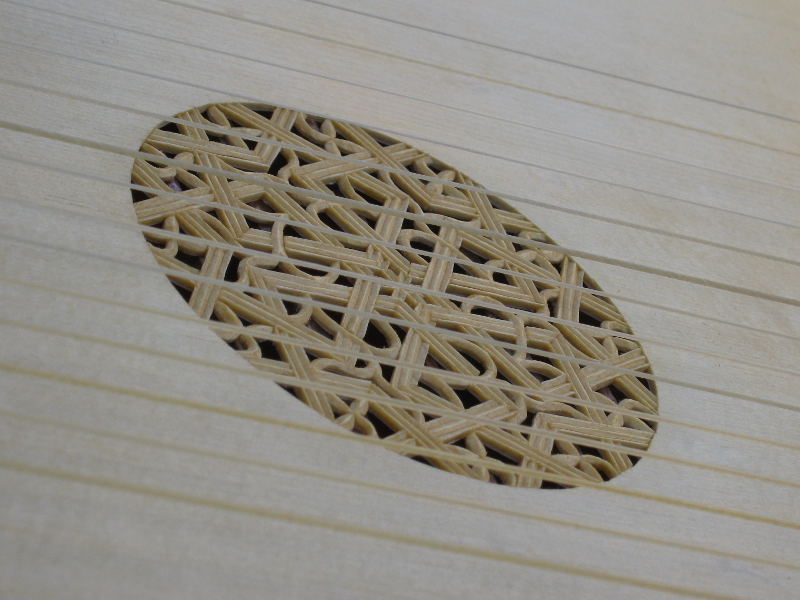 Generally speaking, the modern convention is that the term "theorbo" is applicable to any lute which has long unfretted diapasons and is tuned in either a re-entrant version of the "old" tuning or, as was developed in the baroque period, D minor tuning with the chanterelle omitted. 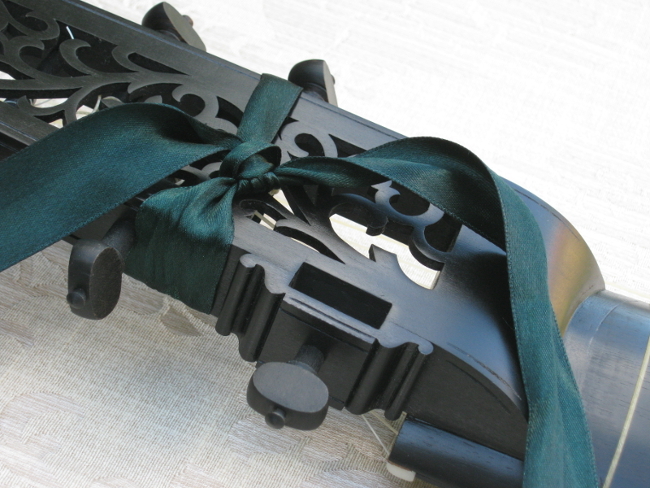 The name "chitarrone" is properly applied to the earliest theorbos as they were developed in Italy at the end of the sixteenth and the first part of the seventeenth century. Although theorbos have an excellent solo repertoire their principal purpose is for accompaniment, hence their almost universally large size. 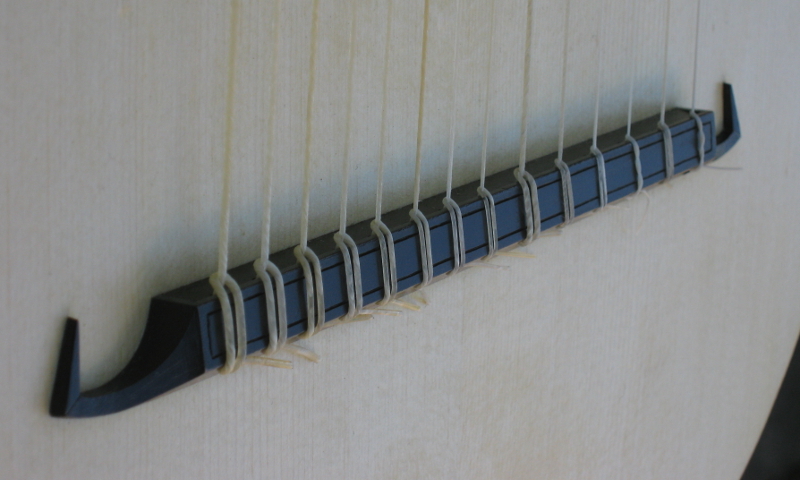 This instrument can be built with different string lengths to accomodate either nine tied frets (lengths of 80/160cm) or, making it more suited for solo use, ten tied frets (83.5/167cm). 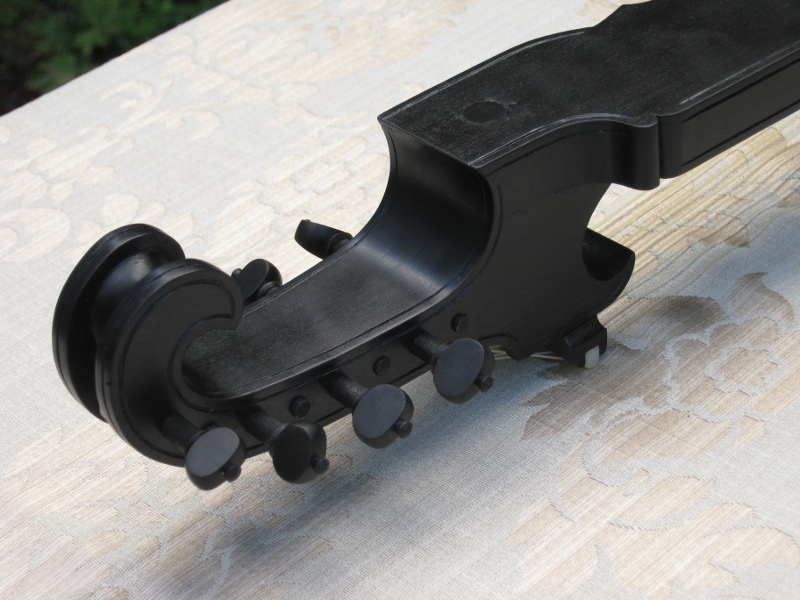 Profile views of finished instrument. 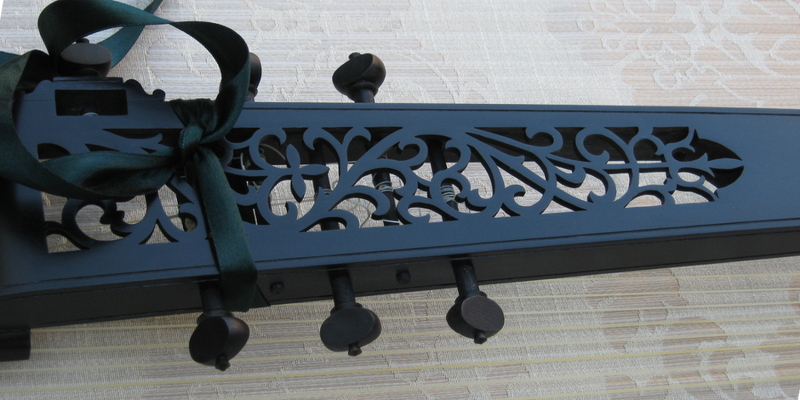 The intention was to make an instrument very close in spirit to historical examples. 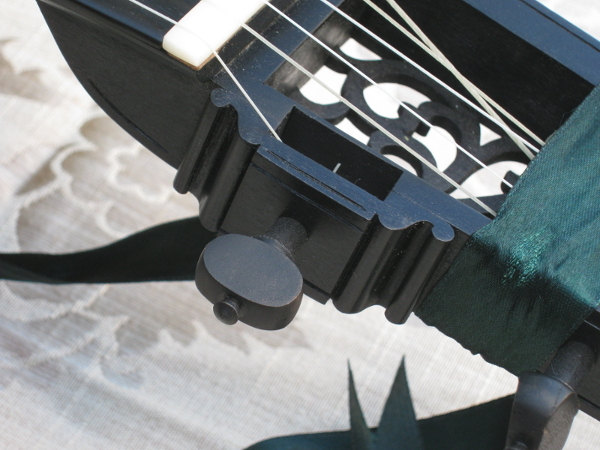 This model is offered with a stopped string-length of 76cm, an unstopped length of 129cm, and is suitable for tuning at a=415Hz or a=392Hz double re-entrant with the top string at d'. 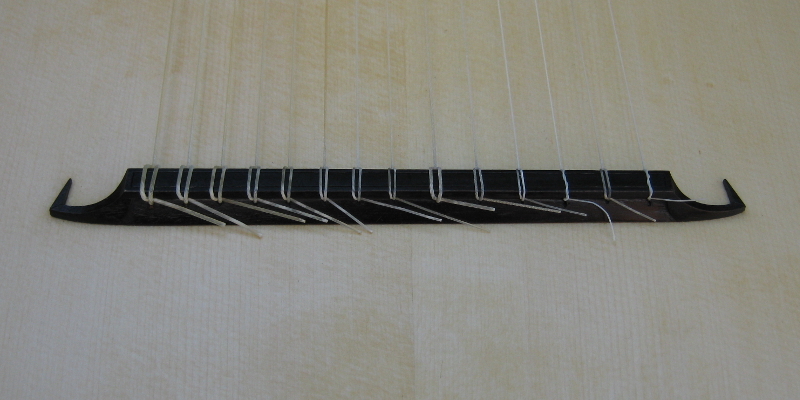 It has fourteen single courses (6x1 & 8x1) and ten tied frets clear of the neck. 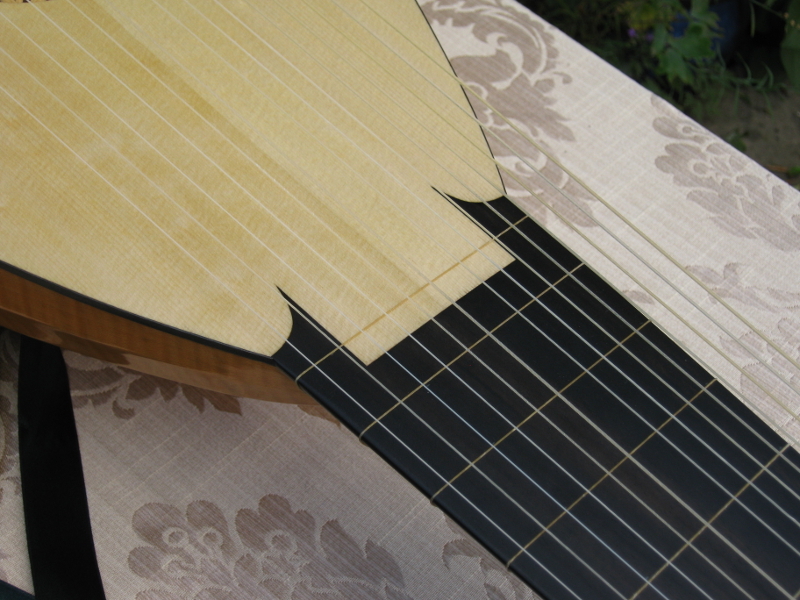 The D tuning specified by Talbot has the "old" theorbo intervals but a fourth higher. 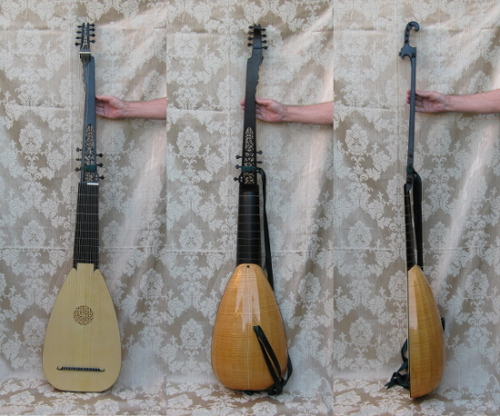 It is principally intended for the solo French theorbo repertoire such as the music of De Visee (it has also been termed a "solo" theorbo, or by Talbot a "lesser French theorbo for lessons"), but given its use of the usual intervals it is quite capable of playing much of the general theorbo repertoire. Unlike some modern inappropriately sized G and A theorbos the theorbo tuned in D makes for a legitimate historical double re-entrant "small" instrument. The Talbot manuscript lists many of the principal dimensions of an instrument which he attributes to a maker called Sellier (Sellas or Seelos?) and leaves little room for significant deviation, consequently it has been possible to convincingly reconstruct an instrument entirely within the parameters which he describes. 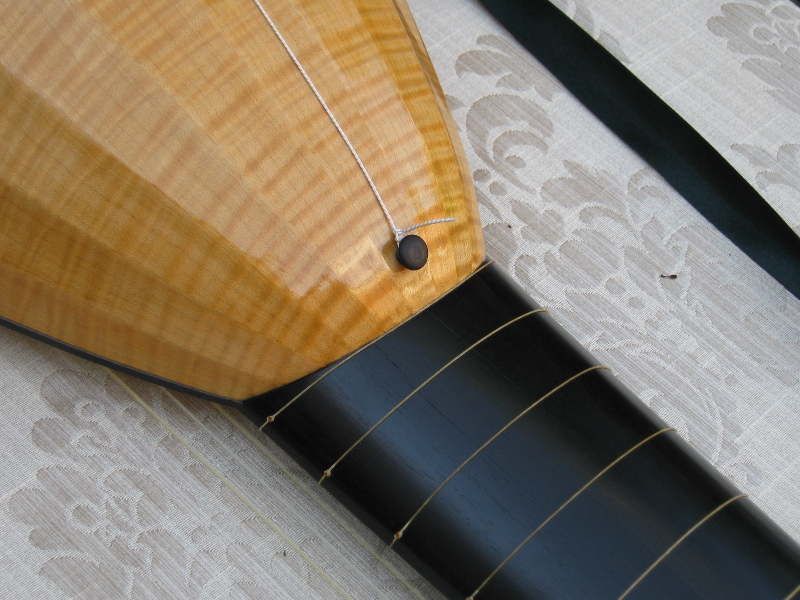 Rib number, string lengths, bowl dimensions, rose position/dimensions and even bridge and points dimensions are all listed. 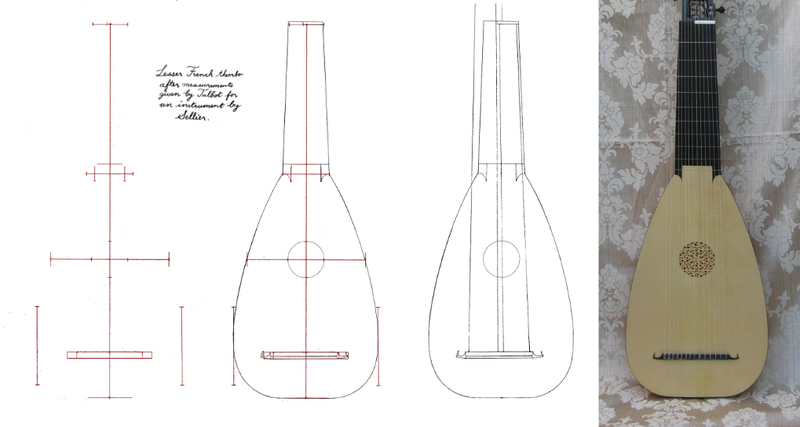 For the reconstruction of unknown details information has been utilised from iconography, an anonymous angelique in Paris (a closely related form of lute, possibly converted from a solo French theorbo see here: ) and other instruments. 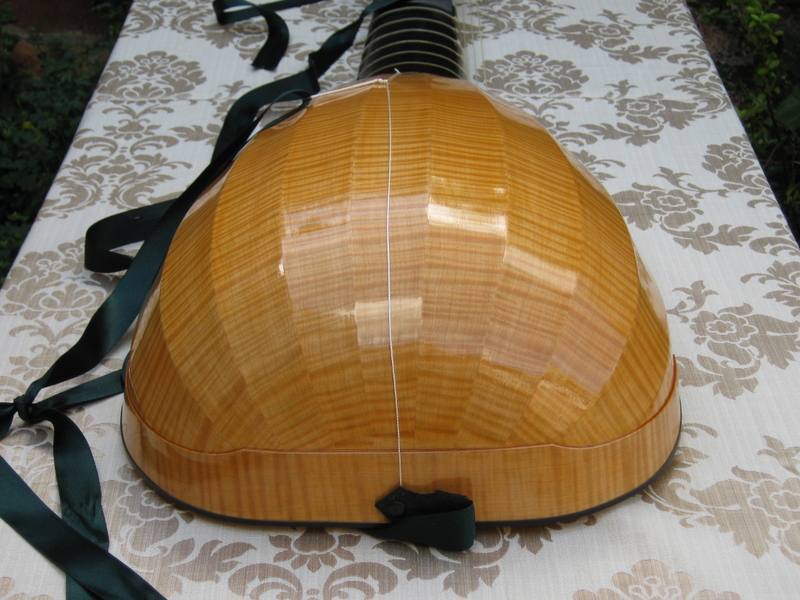 The determined instrument has a bowl shape that uncannily resembles what we generally associate with the French baroque theorbo. 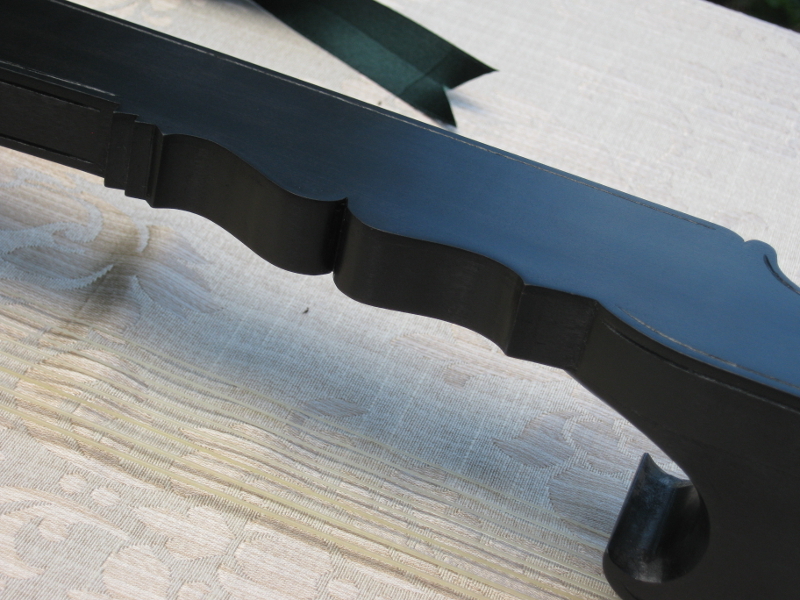 It is fairly shallow and is very comfortable to hold. 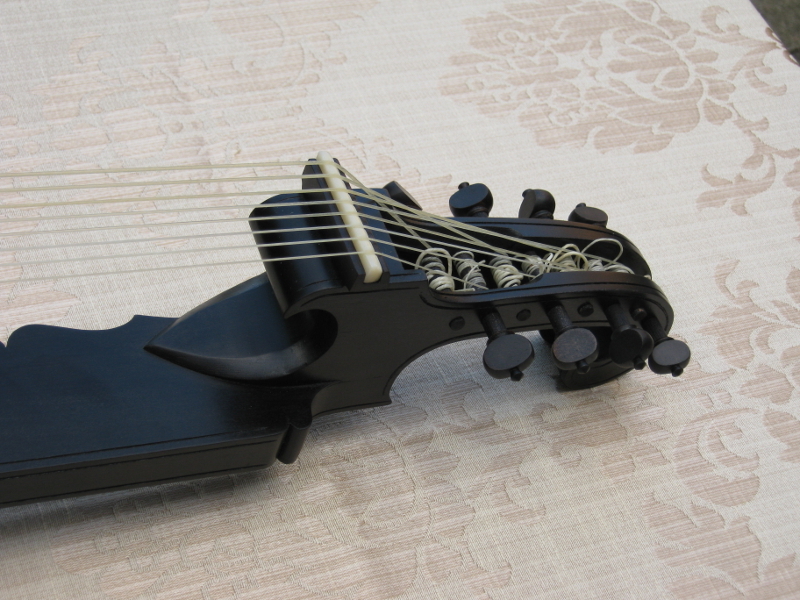 Unlike many normal theorbos the single stringing is perfectly authentic as historically French theorbos seem to have been standardly single strung. 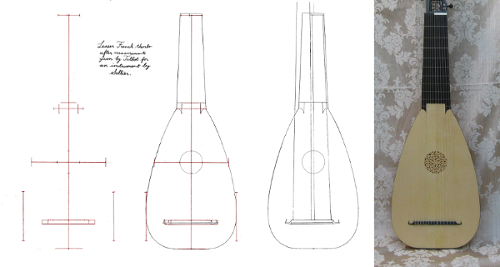 Part of the design process from Talbot's measurements to finished lute (front dimensions). Click for larger image.